SES and Yahsat say their satellites, SES-14 and Al Yah 3 respectively, are healthy and will enter service after additional orbit correction maneuvers following a Jan. 25 off-course Ariane 5 launch. WASHINGTON — Two satellites placed into incorrect orbits by an Ariane 5 that suffered an anomaly during its Jan. 25 launch can be recovered and placed into their desired orbits, their operators said Jan. 26. Arianespace of Evry, France, in a statement released Jan. 26, blamed a "trajectory deviation" for the break in communication with the rocket, which stopped sending telemetry 9 minutes and 26 seconds after liftoff, seconds after the rocket's second stage engine ignited. The Ariane 5 lifted off from Europe's Guiana Space Centre in French Guiana, South America at 5:20 p.m. Eastern carrying the 4,400-kilogram SES-14 satellite and the 3,800-kilogram Al Yah 3 satellite. Ground teams first discovered the issue when a tracking station in Natal, Brazil, didn't receive telemetry from the rocket. Data from the U.S. Strategic Command's Space Track website indicates that the payloads from the launch are in orbits of about 235 by 43,150 kilometers, similar to the planned orbits of 250 by 45,000 kilometers. However, the satellites have orbital inclinations of about 21 degrees, far higher than planned inclination of 3 degrees. Both SES and Yahsat have since confirmed the health of their respective spacecraft. Luxembourg-based SES said that SES-14 will take an additional four weeks to reach its orbital position over the Americas. Yahsat, based in the United Arab Emirates, said the hybrid chemical-electric propulsion Al Yah 3 satellite will use a "revised flight plan" to reach an operational orbit and begin service later this year. Yahsat did not say by how much the off-track launch will set back the initiation of service with Al Yah 3, whose all Ka-band payload is split between Brazil and Africa, and will require a period of testing before serving customers. Al Yah 3 customers Eutelsat and Talia have Africa-focused business ventures that plan to use the satellite starting in June. The satellite's pre-launch plans involved less than a month of orbit raising using chemical propulsion, according to manufacturer Orbital ATK. The Airbus-built SES-14's in-service date was set for July, but is now pushed back to at least August. 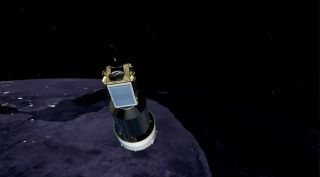 The satellite also carries NASA's Global-scale Observations of the Limb and Disk remote sensing instrument as a hosted payload. Arianespace said it has formed an independent commission in conjunction with the European Space Agency to investigate the anomaly. Upcoming launch campaigns already underway at the Guiana Space Centre are "proceeding as scheduled," Arianespace said.